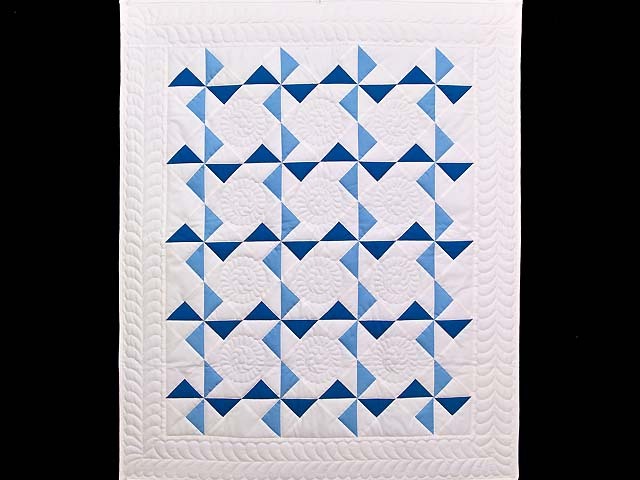 A classy take on a classic design! 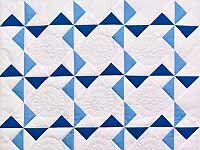 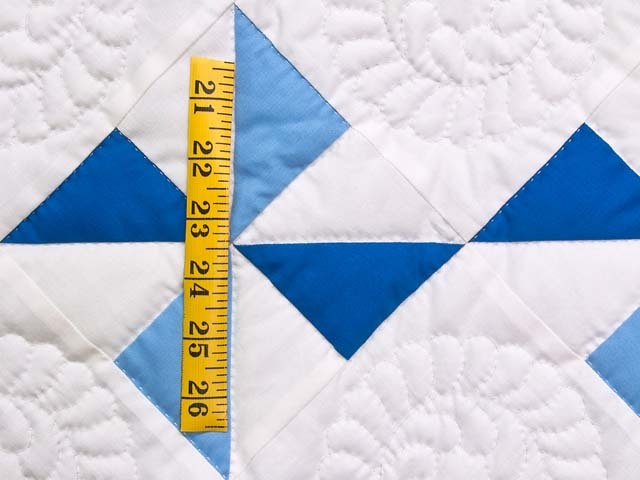 The combination of the blue and white coloring and the precise patchwork piecing gives the quilt a very cool look. 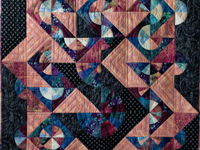 Notice the lovely, detailed hand quilted designs between the pinwheels. 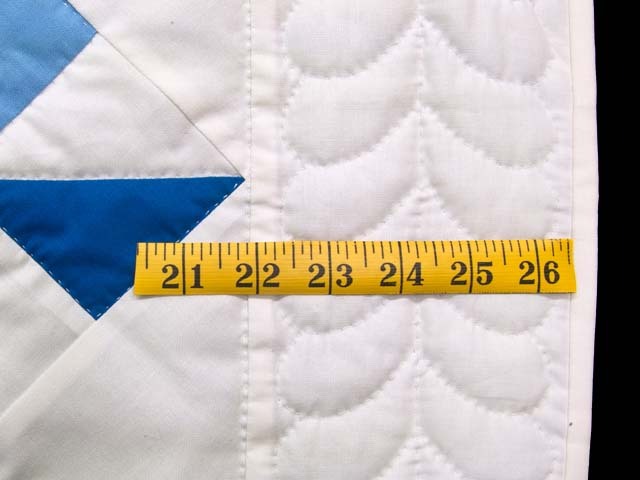 The background white fabric is a solid white. 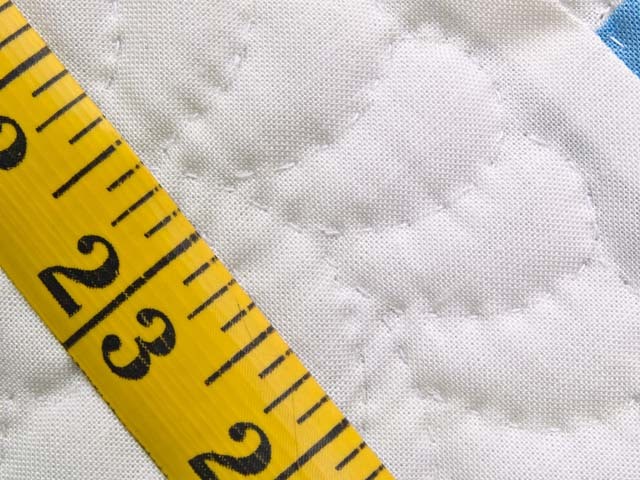 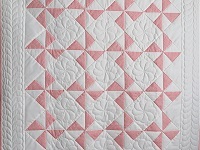 The back of the quilt is covered with the same solid white fabric. 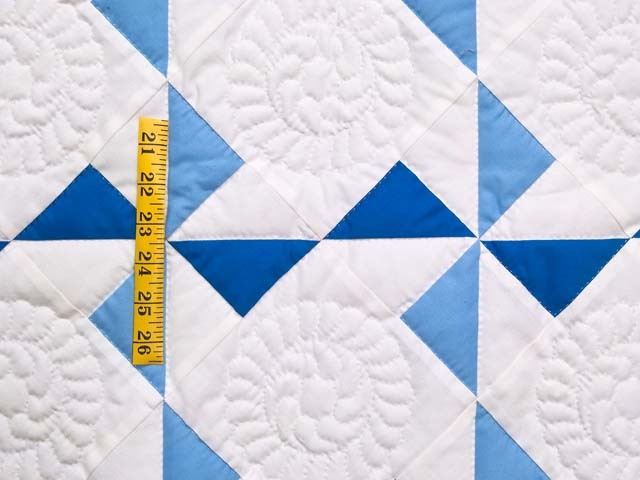 The quilt top was made by the young local Mennonite quilt Connie Lapp, was abundantly and beautifully quilted by a Mennonite friend. 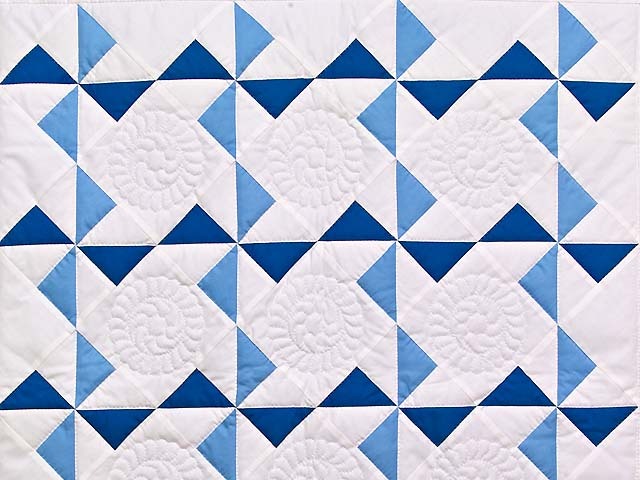 This quilt would look amazing as a crib quilt, small throw or wall hanging!